Thank you for your support during this difficult time. Please enhance this tribute to Craig by adding your memories and photos. Craig Norbert Ortwerth of Charleston, South Carolina peacefully entered into eternal rest on March 16, 2019. 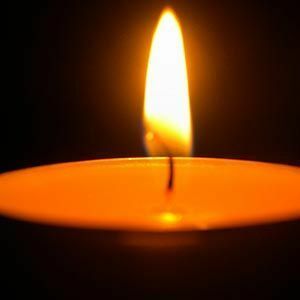 His memorial service will be held Saturday, March 23, 2019 at J. Henry Stuhr, Inc. Downtown Chapel, 232 Calhoun Street in Charleston at 11:00 a.m. The family will receive friends one hour prior to the service in the Downtown Chapel. Craig was born in St. Louis, Missouri to Norbert and Berenice Ortwerth. He was a graduate of St. Louis University High School, and the University of Missouri-Rolla where he received his Bachelor of Science in Civil Engineering degree and became a lifelong member of Pi Kappa Alpha fraternity. Craig loyally served his country in both the U.S. Army and the U.S. Air Force. While living in Charleston, Craig achieved a long list of accomplishments, including being named a Resident Engineer for the Arthur J. Ravenel, Jr. Bridge Design-Build Project and for the Port of Charleston. During his 40 year professional career, he was involved in numerous projects throughout the United States, including transit tunnels and stations, bridges and roads. Craig was a member of the Construction Management Association of America. Craig is survived by his loving wife, Evie Johnson, of Charleston; his brother Steve Ortwerth (Nancy) and sister Chris Klaser (Joe), both of St. Louis; his sons: Craig Michael (Joyce) of St. Louis and Bradley of Charleston; and his daughter Megan of Charleston. He was a proud grandpa to Craig Henry, Zachary, Lauren, and Elizabeth and was loved by his nephews. He is preceded in death by his parents. Craig was a 29-year member of the American Legion Post 147, as well as an active member in the Forty & Eight Voiture 974. In lieu of flowers, memorials may be made to St. Louis University High School, 4970 Oakland Ave., St. Louis, MO, 63110. I will greatly miss this man. He and I became like brothers since we met at our fraternity in 1968. He was truly like family to my entire family as well. I cannot begin to share the numerous stories of times we have spent together but I can assure all that I remember them with a smile. He was a unique individual and all who knew him I'm sure would agree. He is now in the Pearly Gate Indian team with some of our elder fraternity brothers. He left this earth with a great backlog of bridges to repair. Especially here in the great state of Illinois! His influence will certainly live on. Rest In Peace Papa Ortwerth. I only met you a couple of times when I hung out with Megan but you were always nice and humorous. We will be praying for your family and friends. Life Stories provides friends and families a forum to post their favorite stories and memories of Craig Norbert Ortwerth ensuring the precious experiences are never forgotten. Share joyful times, post a photo that captures the moments you cherish, and allow others to reply, relive and remember.